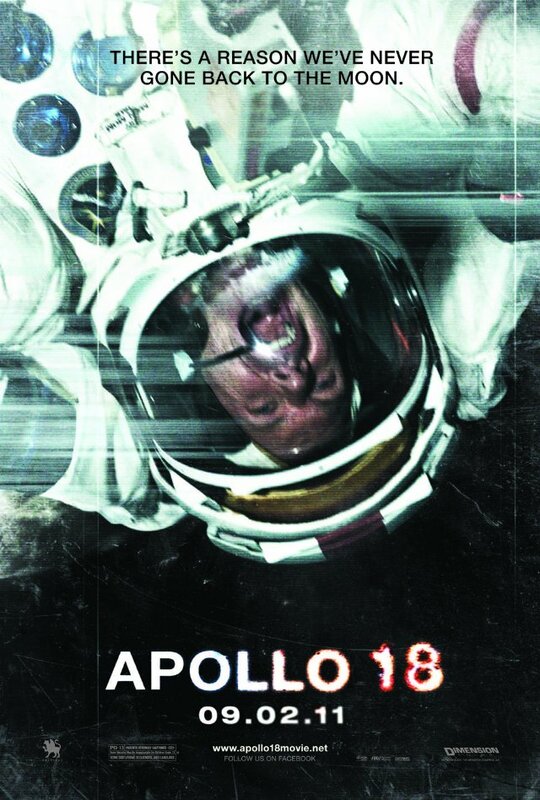 Apollo 18 — an interesting twist on the “found footage” genre, but the film doesn’t live up to it. What if the government was hiding something from the public? And then things went wrong. And they had to keep hiding it. Until it was found out. And then someone posted footage of it to the Internet? And then someone took the found footage and hobbled it all together into a movie. This “found footage” stuff has been around forever. You can go back to a story called “A Strange Manuscript Found In A Copper Cylinder” written by James De Mille in 1888. Indeed, back in the 1900 teens, Sir Arthur Conan Doyle working with Willis O’Brien, tried to convince the public that the dinosaurs in the film version of The Lost World was “found footage” gathered from explorers lost in the high plateaus of South America. The genre was renewed with the idea of viral marketing behind it with The Blair Witch Project. And its kind of gone off the rails since… When its done for real, its absolutely compelling, especially when the footage is put together by someone like Werner Herzog, and the subject it a man living with Grizzly Bears. But when we know the subject is fictional, the gimmick loses its glamour…fast. This is what has happened with Apollo 18. Through our “found footage”, we learn of another NASA moon exploration that was never talked about. We aren’t shown how they manage to launch a Saturn V rocket without people noticing, but whatever. The three man team lands on the South Pole of the moon to gather samples. And when they find a Russian craft, and its dead Cosmonaut, things start to get weird. With that pitch, I can see why it would be greenlit. Its kind of a cool thought. But cutting together a handheld camera, and a number of static cameras is basically demoting the audience to the level of a swing shift security guard watching monitors of empty parking lots. And the story becomes equivalently mundane. Furthermore, we are to make some leaps of technological logic that are a little too far. One, is that the footage on the astronauts cameras somehow makes it back to earth, with means the astronaut(s) make it back, which lowers the threat. Or they don’t, which makes the premise implausible. Next there are motion-activated cameras mounted around the lunar module. In a time period where we barely had video cameras to record on portable media, did we have that kind of technology? Could the Russians have landed on the moon with a capsule that resembles a Jules Verne invention? And, when panicked and in mortal danger, do people really continue to carry around their camera to film what is going to kill them? The production level is pretty cool in maintaining the veracity of the look of the footage. They try to maintain facts based in science, like the shadows in the craters are going to be severely cold, for example. The integration of the “threat” even stay grounded, and it only reveals itself late in the game. However, none of this can save the story. And I’m not really surprised as the director of Drive Angry 3D is the editor of this. I can’t really recommend this, even as an exercise on what NOT to do with a horror film.